Hailed as the ?Queen of Song? and the ?Goddess of the Musical Note? 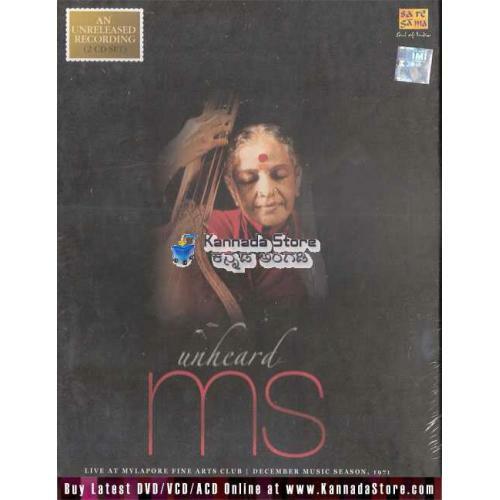 MS Subbulakshmi took the world by storm with her mellifluous singing and divine grace. It was this voice that Gandhiji lauded when he said ?I would rather hear her speak the song than someone else sings it?. 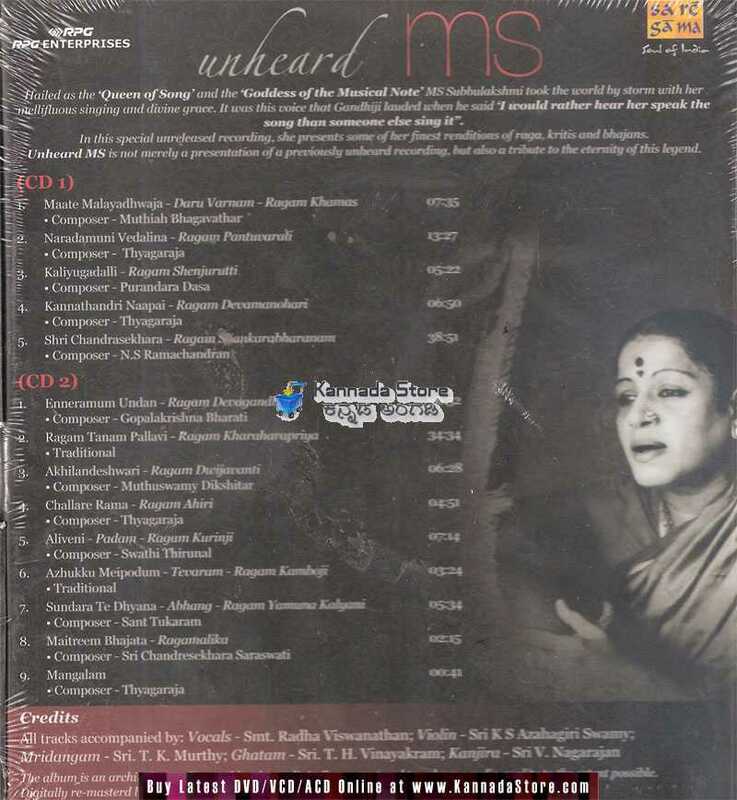 In this special unreleased recording, she presents some of her finest renditions of raga, kritis and bhajans. Unheard MS is not merely a presentation of a previously unheard recording, but also a tribute to the eternity of this legend.